Sheboygan County Planning & Conservation ($75,000)Located in southern Sheboygan County, Amsterdam Dunes is one of the largest tracts of undeveloped sand dune and wetland complex along the western shore of Lake Michigan. 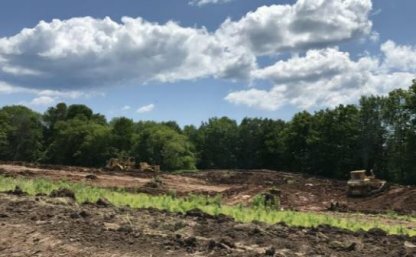 Sheboygan County purchased this 328-acre property in 2014, and, with support from the Fund for Lake Michigan, started restoring the site. Currently, tile lines—part of a drainage system that removes excess water from soil below the surface—are severely eroding streambanks on the site. Invasive species also threaten to overtake it. This project aims to remove those tile lines and bring back the former wetlands. The current proposal will restore 30 acres of land to prairie, wetland, and riparian stream habitats.